Locations, Locations, Locations! It's an essential element to your storyboards and now it's even easier to select the perfect backdrop for your shooting and presentation storyboards with the new StoryBoard Locations Website! The new Ultimate StoryBoard Locations Website is a massive collection of scenic locations and backdrops all perfectly optimized for storyboarding. Tens of thousands of Interior and Exterior shots taken with the cinematic eye of a Location Scout in a variety of angles and elevations helping you get your locations for previs - without leaving the house! And more are added every week! Find your perfect locations today! With drag and drop ease you insert the location and then layer it with your actors and props. 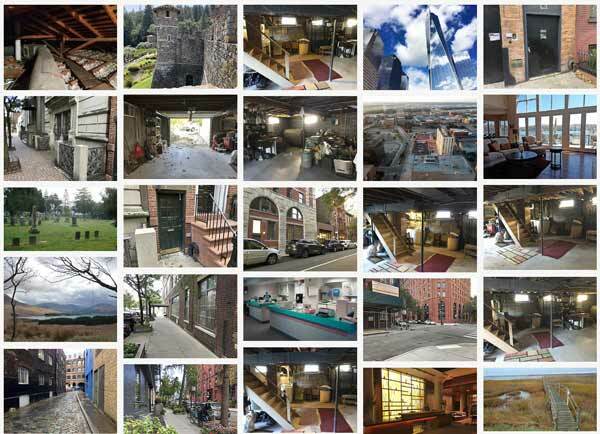 Amazing Exteriors ranging from the suburbs to the wilderness, stairways to sandy beaches - the StoryBoard Locations Website has what you are looking for. Incredible Interiors shots - airports, offices, hallways, subways... you name it, it's here! The perfect size! Locations come in a variety of resolutions as well - so you can decide how large of an image you'd like for your project. Need to go big? Select hi-rez images. Want something quick and easy, select optimized for web. It's easy!